An archive of my published reviews, articles and interviews. NOTE: Remember the Tarantella rereleased in a new edition by Spinifex Press in 2011 with a new Afterword. Finola Moorhead’s Remember the Tarantella attracted some interest when it first appeared towards the end of 1987. It was briefly reviewed in a number of the major papers and was the subject of a number of lengthier articles in a handful of journals. It did not, however, go on to be nominated for any of the major awards, or indeed attract the sort of attention that Kate Grenville’s Joan Makes History received during the bicentennial year. The failure of Moorhead’s novel to attract major critical attention says much about the current state of publishing and criticism in Australia. 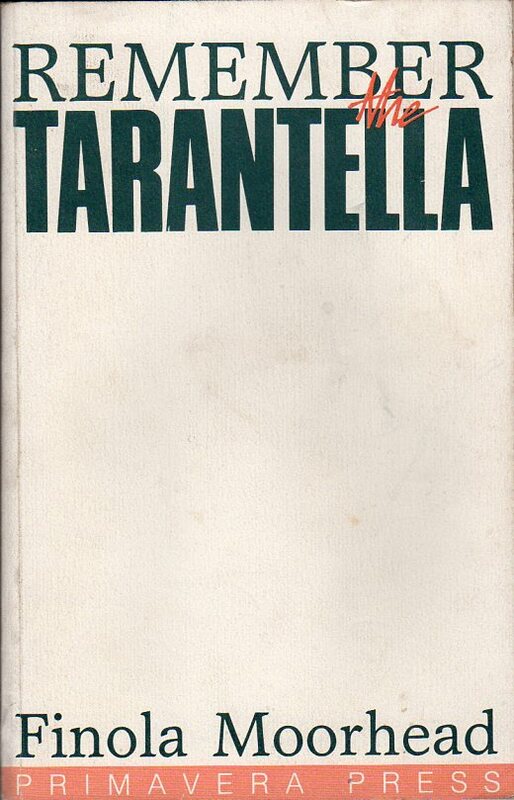 Remember the Tarantella is one of the few major Australian novels of the past decade. But while the Australian publishing industry continually trumpeted its own praise while at the same time at threatening to devour itself in a frenzy of takeovers and buybacks, it was left to a Primavera Press, a relatively small publisher, to pick up and run with Remember the Tarantella. Primavera did an admirable job launching the book, and they probably did as much as they could to promote it. The fact remains, however, that for a book by a small publisher to gain the important column centimetres in the major Saturday book pages, the book has to be extraordinarily good – or the publishers have to rely on the old girl/boy networks. The reviews that did appear seemed somewhat guarded in their response. One had the feeling that while they recognised the importance of Moorhead’s novel they also felt that there was something about it that pushed it off to one side of the mainstream. What was it then that led to this undercurrent of ‘unease’ among ‘serious’ reviewers. The answer, I believe, can be found in the opening of Moorhead’s ‘Author’s Notes’ to Remember the Tarantella. While much has been made of the ‘success’ women writers have ‘enjoyed’ in Australia over the past decade or so, there still remains a number of institutionalised barriers to certain kinds of womens’ writing. The literary mainstream has long used literary genres as a tool to defend ‘literary standards’. If something can be pushed into a category such as ‘community writing’ or ‘Black writing’ then it ceases to be a threat to ‘real’ literature. It can be examined in terms of its own genre which, it is understood, is inferior to real literature. Such a response is not of course, always conscious and it would appear that it has, to an extent been part of the baggage that many reviewers have brought to Moorhead’s novel. Overall, critics in Australia have appeared reluctant to see Remember the Tarantella as part of the mainstream of Australian writing. Rather, they have argued, its complexity and scope make it one of the major achievements of the women’s writing movement in Australia. Such mariginalisation is unfortunate because, by marginalising some of the more dynamic forms of contemporary writing, these critics eventually marginalise literature itself. Remember the Tarantella is a great, swirling novel. Like the dance from which it takes its name it seems, at first, to be out of control rushing back and forth, spinning wildly, even somersaulting. But all these movements are part of an overall pattern, the steps of the dance, and in the same way that the movement of a dance may be unintelligible if you are in the midst of it, Remember the Tarantella demands that you step back and ponder the structure of the dance/novel. Moorhead hints at one pattern in her ‘Author’s notes’. Besides men in fiction Moorhead also discussed mathematics with Stead and as a result there is the “daring to make a novel out of geometry”. In fact according to the author, the first draft “was a series of diagrams and nouns. No sentences”. This geometry provides the novel with its structural depth, it also sets up an almost unconscious rhythm to the narrative. The novel concludes with a highly structured dance which brings together a number of structural features of the novel. The 26 women in the dance are identified by letters of the alphabet. There are also 26 major characters in the novel – from Arachane through to Zono. The dance itself is highly structured. It forms geometric shapes which dissolve and reform. One feels that there are many years of research in front academics in relating the structure of this final dance to the overall structure of the novel. There are also other structural elements running through the novel. The alphabet is obviously central to the work , as is numerology and astrology. There is also an international network of women which provides numerous anchoring points for the narrative. Each woman in the novel affects every other woman in the novel. The result is that Remember the Tarantella becomes a highly structured network of crisscrossing webs. In the end we are left with what Moorhead has called ‘everywoman’ – the 26 different women, different aspects of the ‘everywoman’, united in their network yet often contradictory, even hostile. This web or network, is the dance, the tarantella the collective memory that can only be realised by bringing the 26 women together in the final dance. But while the structure of Remember the Tarantella is no doubt challenging, its strength lies in the number of ways in which the novel can be read. While it is easy to become overwhelmed by the swirling structure – caught in the web if you like – it is also possible to read Moorhead’s novel as a vivid representation of the lifestyle of 26 different women during the early eighties. Moorhead’s novel then, is a major achievement by anyone’s standards. Its expansive scope and its complex yet intricate structure sets it apart from much of the more mundane mainstream literary activity in Australia during the late eighties. It is to be hoped that the next few years will see it receive the recognition it deserves – both in Australia and overseas. Two Anthologies: EDGE CITY ON TWO DIFFERENT PLANS, edited by Margaret Bradstock, Gary Dunne, Dave Sargent and Louise Wakeling, Inversions 1983 & NETWORK/EXILES IN PARADISE Fringe Network 1983. Published in P76 Issue 2 1984. In a recent interview (Image Vol.6 No.3), John Tranter talks of the progression of contemporary Australian poetry in terms of a “pendulum swing reaction” against what is seen as the ‘accepted’ or ‘established’ mode of expression. Such a comment, of course, refers back to the “generation of ’68” and the break that many writers felt they were making from the established, conservative forms of writing which had predominated during the fifties and sixties, but it also implies a conservative backlash which, Tranter suggests, will “swing” the writing scene back to something resembling the pre-’68 situation. On a similar note, Kris Hemensley, reviewing Ania Walwicz, Dimitris Tsaloumas and Mary Fallon (Syllable No.1), talks of the “rut” in which contemporary Australian writing “had become stuck” by the beginning of the eighties. One possible explanation for this is that the writers who saw themselves as the poetic revolutionaries of 1968 now feel quite comfortable with the way Australian writing has developed during the seventies and no longer feel it necessary to question or challenge the prevailing mood of the literary establishment. There are, however, many writers who aren’t satisfied with the ideology which underlies much contemporary Australian writing. The strength of Women’s Writing at the moment (as witnessed by the, No Regrets anthologies, Frictions, the large number of Women’s Writing Groups and the Faceless Woman Readings in Melbourne) can be seen, in part, as a reaction against the subtle, and often not so subtle, repression of women writers throughout Australia’s history, and which is still prevalent in the post ’68 writing scene. Two recent anthologies, Edge City on Two Different Plans (a collection of Lesbian and Gay writing from Australia) and Network/ Exiles in Paradise (An anthology of new writing from the Melbourne Fringe Arts Festival 1983), highlight further problems with the Tranter pendulum. Both anthologies can be seen as jerking Australian writing, out of its rut, though in quite different ways. Edge City confronts the masculine tone inherent in much Australian writing which was left virtually untouched, and in some cases actually strengthened, by the “generation of ’68”, while Network/Exiles in Paradisehas combined an ‘open access anthology’, a fringe arts festival and collective production so that the writers become responsible for, and learn the skills necessary to compile and produce the anthology. Edge City attempts to highlight what it sees as the diversity of lesbian and gay writing by collecting work by 43 different writers (25 men and 18 women), ranging from fairly traditional short stories and poetry, to more experimental prose and poetry and a number of song lyrics. Although there are a few well known names among the 43 contributors, one of the most refreshing aspects of the anthology is the amount of interesting and exciting work by writers who have had little or nothing published in the mainstream literary magazines. A number of prose pieces deal directly with aspects of a lesbian lifestyle. Jane Eliot’s ‘Holiday at the Parm’, for example, examines a woman’s reaction when she returns to the country town where she grew up. Her friends are married and living conservative country lives, while she has returned from the city a feminist and a lesbian. Eliot effectively combines a slight feeling of nostalgia with the underlying political conflict which affects the way the woman reacts to people in her past. Geraldine Mecredy’s piece ‘Journey’, like ‘Holiday at the Farm’, uses a central theme of a woman analysing her past. She has recently ended a heterosexual relationship and she reflects upon aspects of it – how it started, conflicts, sexuality and so on. Runn­ing throughout the pieces are the fragments of a dream, of being in s waiting room waiting for a train. The heterosexual relationship becomes the world outside the waiting room, the train a method of escape and a means of personal transformation. The importance of Edge City is that it has focused attention on lesbian and gay writing in Australia and has been responsible for stimulating quite a lively discussion. On a purely literary level, Edge City introduces a number of exciting writers whose work may have never been accepted by the mainstream literary scene but who, it is hoped, now have the confidence to continue writing without having to compromise in an effort to be published. Overall I found the poetry, with the exception of Cliff Smyth, Pete Spense and John Anderson, quite disappointing. Daniel Keene’s piece, ‘Echoes of Ruby Dark’, was for a while interesting, but because of its length, rapidly lost much of its impact. I found the length of many of the poems irritating. It is extremely difficult to maintain a poem through four hundred or so lines, and unfortunately I don’t believe any of the poets who attempt such a task in Network/Exiles in Paradise quite succeed. On the other hand, prose is definitely Network/Exiles in Paradise’s strength. Ania Walwicz’s work is already fairly well known and her four prose pieces highlight the conservative approach some of the other contributors adopt towards the language. Raphael Pomian’s prose has, at times, a feeling similar to Walwicz’s. Both use uncluttered language but manage to create an overall richness. For Walwicz it’s predominately sound patterns and rhythms, while Pomian’s prose is extremely descriptive, at times almost to the point of being languid. Moya Costello’s ‘The Usherette’ is a realistic portrayal of working as an usherette at a concert hall. Periods of boredom, flustered activities and flights of fantasies are undercut by a sarcastic humour directed mainly at the patrons who she directs to their seats. Berni Jassen’s untitled prose piece, which is the account of the beginning of a relationship, is perhaps, the most powerful in the anthology. Her skilful use of short sentences and clear language gives an intensity and urgency to her theme. The contrasts in Network/Exiles in Paradise are, in themselves, quite illuminating. The successful pieces tend to be fairly short,or at least concise and uncluttered, while some of the longer poems and stories I found extremely difficult to get through, Fringe Network apparently intends to publish more anthologies and “self-devised books by groups of writers”, the results promise to be interesting. I found little evidence in Edge City and Network/Exiles in Paradise to suggest a movement towards a more conservative writing in Australia. Tranter’s pendulum is, of course, a gross over simplific­ation. Seeing writing as a movement back and forth between two points is extremely limiting and excludes the possibility of development in other directions. It suggests a ‘establishment’ view of literature operating ‘like clockwork’ to predetermined rules. Projects like Edge City and Network/Exiles in Paradise disrupt the equilibrium by quest­ioning the dominant ideology of Australian literature and suggest new directions in which it could move. 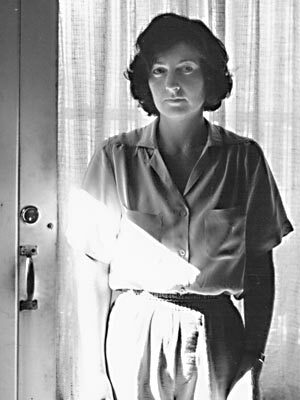 Over a number of years now Susan Hampton’s reputation as a poet of a consistently high standard has been steadily increasing, largely as a result of the considerable body of her work which has appeared in various literary magazines and journals. It comes as a surprise, then, to realise that Costumes, her first complete volume, has been greeted with almost two years of critical neglect. If we turn to the book itself in an attempt to find reasons for this neglect, we quickly find ourselves disappointed for Costumes is, in many ways, a virtuoso debut, as Hampton shows herself to be in control of many different styles and techniques. One has only to compare the surrealist prose piece ‘Catalogue of Five Words at an Exhibition’ with the apparent autobiographical detail of ‘In the Kitchens’, to be aware of the range and scope of her work. We begin at the Angel Islington in a pub, looking at ourselves in the mirror. As we looked, she told me the first word. We walked from then pub to a phone-box, to the supermarket then to the tube station, the flowerseller with his red blooms, past a hoarding, then along Upper Street to the doorknocker on her house. At each of these stops she gave me a new word, and I was to recall them by walking this journey until I could do it in my mind, associating each word with an object on the way. It proved successful, and I wondered whether this was how Mandelstam’s wife memorised his poems to bring them out. I want to go out into the rain. there seems to be no other possible conclusion. a big range of styles. and white noses, past all the losers. the glamour and shine has all disappeared. The five poems grouped together in ‘In the Kitchen’ also appear to be largely autobiographical, describing the poet’s childhood in Inverall and Newcastle. There is a gentle feeling of progression about the sequence. Each poem seems immediate and important, perhaps because with the exception of ‘Invererell’, they are all written in the present tense. They reflect a child’s growth, from early memories of an insurance sales and amateur magician, to bars in Newcastle and writing poetry imitating Eliot. The sequence appears almost crafted, for while it has at its centre, the memories of different kitchens, each poem expresses a mood unique to a particular period of growing up. & the gynaecologist’s plan for sanity. little parcels & putting them in the cupboard. In the final instance Costumes is true to the criteria that Hampton herself stated at the beginning of the collection in ‘Catalogue of Five Words at an Exhibition’. The majority of the poems refuse to be “hung” for an length of time on the gallery wall. Rather we find ourselves recalling the way we have felt in a particular situation,or perhaps see elements of ourselves in the poetry, so that seemingly personal statements suddenly take on a much wider significance. Costumes confirms Hampton’s standing as a poet of exceptional ability, and establishes he position as one of the best writers to emerge over the last few years. The fact that this collection has passed almost unnoticed by the majority of critics (there have been a few exceptions) is a sad comment on the quality of contemporary criticism. Enter your email address to follow Printed Shadows and receive notifications of new posts by email.